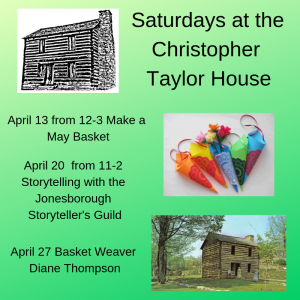 Last year the Heritage Alliance and the Chester Inn State Historic Site and Museum partnered with the Town of Jonesborough to offer a series of programs and activities in the Christopher Taylor House. 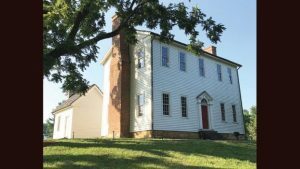 This historic home was Jonesborough’s first preservation project, and it will be open again on Saturdays throughout the calendar year. We’ve already got a full slate of fun activities in April, from hands on crafts to storytelling and basket weaving! Check back monthly to see what else we have going on in this eighteenth century log house. Schedule is subject to change. The Christopher Taylor House is located at 124 West Main Street. The home is owned by the Town of Jonesborough. Programming arranged by the Heritage Alliance and the Chester Inn State Historic Site and Museum. The Chester Inn is a Tennessee Historical Commission State-Owned Historic Site. This project is funded under an agreement with the Tennessee Department of Environment and Conservation, Tennessee Historical Commission. The Heritage Alliance will have an open donation day for the general public to bring in pictures to be digitized on May 18th. This is part of our ongoing project to digitize photos and negatives related to Jonesborough and Washington County History. As part of this project, we are asking local donors to help us fill in some of the gaps in our collection. While we would typically rather a donor gift the original hard copy of a historic picture so we can preserve it for future use, we do have the option of a digital donation. This allows us to scan the original image and save a digital copy for our uses and then return the original to the donor. In either case, we can provide a digital copy to the donor if you bring a flash drive to save it on. We hope that you will be able to join us in preserving the history of our region for future generations. 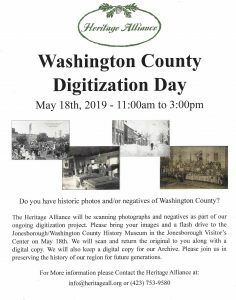 If you are unable to attend, you can contact us any time regarding any photographs you may have that relate to Jonesborough or Washington County by emailing us at info@heritageall.org or by calling us at (423)753-9580 or (423) 753-4580. You can also help out by spreading the word about the date, time, and goal of this event! We are excited to offer two Homeschool Days this Spring! 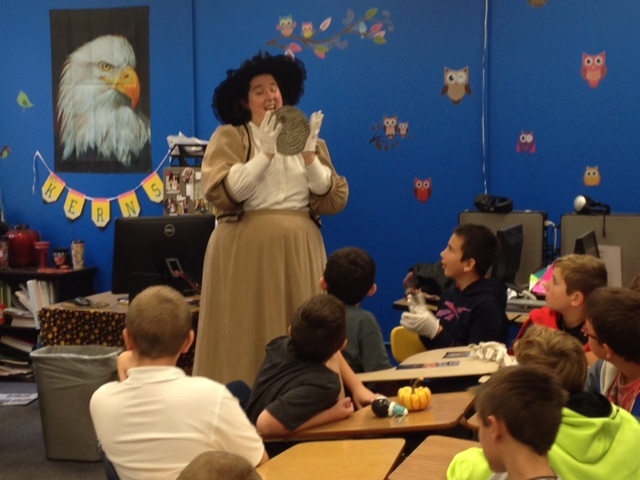 On April 10, we’ll have our third Homeschool Day with history-based activities throughout town. On May 10, we’ll have a full day at Oak Hill School. Registration is open now and the registration forms for both days are attached to this email. Read below for more information. 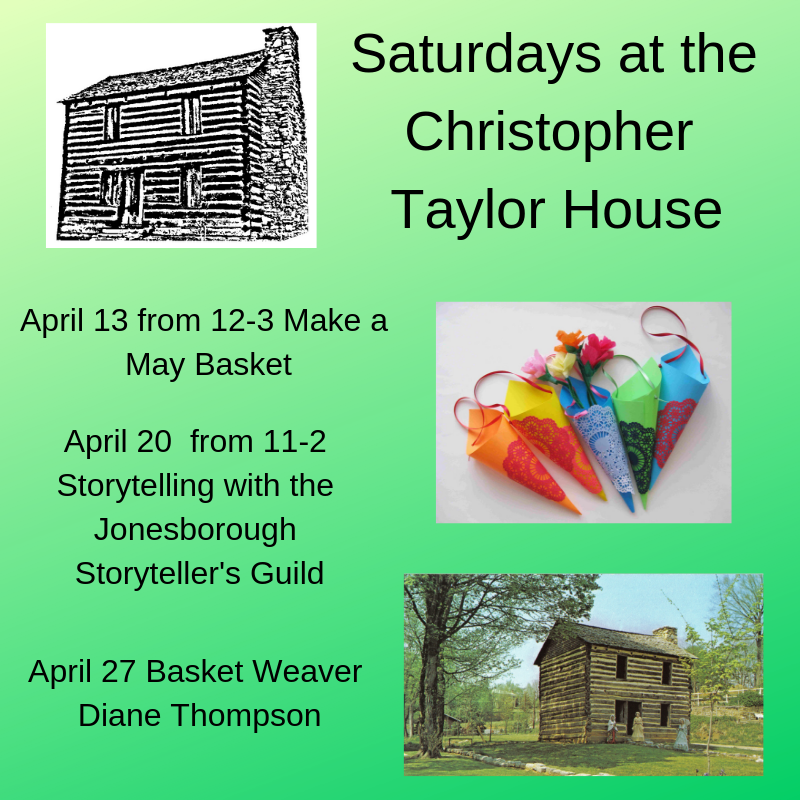 We hope to see you in Jonesborough this Spring! 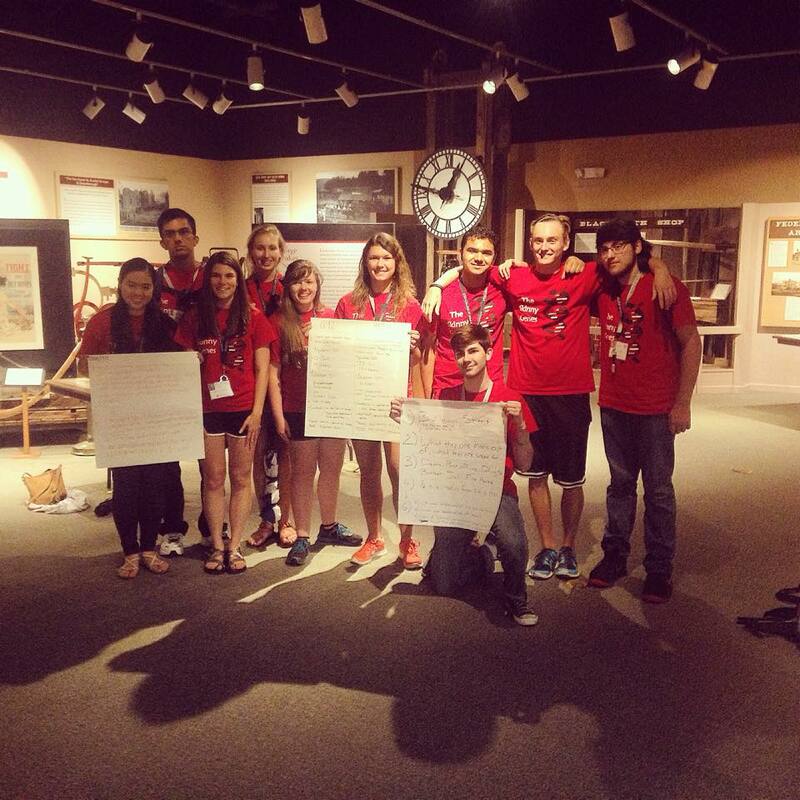 The Heritage Alliance is excited to offer two days for homeschool students this spring. On Wednesday, April 10, we’ll host our third Homeschool Day. History and heritage based activities are planned from 9:00am – 3:30pm that day and will offer a wide variety of experiences for multiple ages. Students from first grade through senior year of high school are encouraged to come and experience history with their families in Tennessee’s Oldest Town. 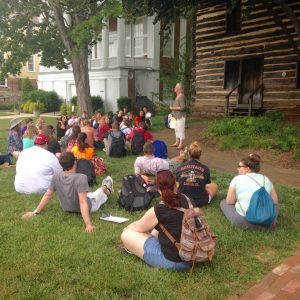 Activities include Town Tours, an Old Jonesborough Cemetery Tour, and hands-on activities with artifacts in the Jonesborough/Washington County History Museum. 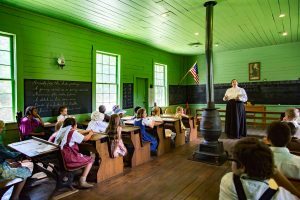 In addition, students can explore primary sources at the Chester Inn State Historic Site and Museum, learn all about the railroad at the Chuckey Depot Museum, and listen to a Storyteller. Oak Hill School will be open for mini-lessons on Homeschool Day, but students will have a chance to participate in a full day at Oak Hill School on Friday, May 10. Oak Hill School was built in 1886 to serve the community of Knob Creek. The building served local residents until it was closed in the 1950s. The school building was moved the seven miles from Knob Creek to Jonesborough and placed in its current location behind the Visitors Center. 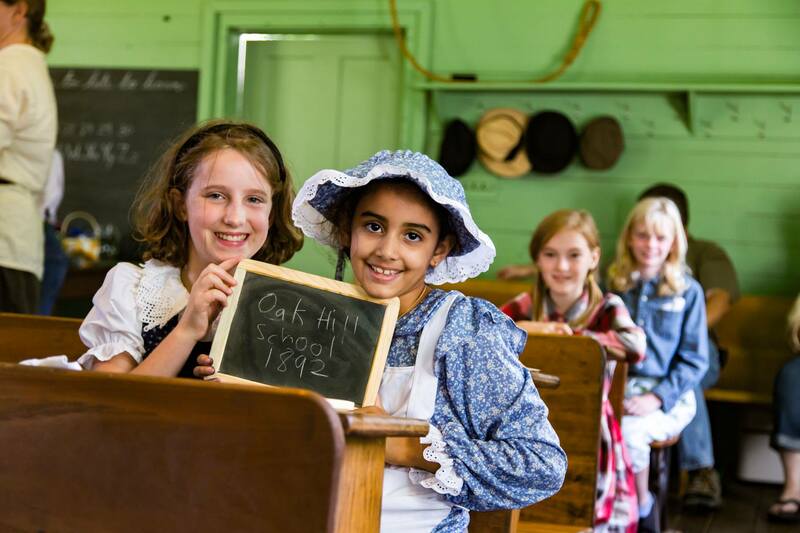 Today, Oak Hill School invites students to come for a day-long field trip and enroll in school in 1893. Reading, writing, arithmetic, history, geography – even the pledge of allegiance – are all as they were prior to the turn of the last century. School will last from 9:00am – 2:00pm on May 10. This program is limited to 26 students, grades 1st – 12th, so sign up now! Registration is now open for Homeschool Day (April 10) and the day at Oak Hill School (May 10) at www.heritageall.org. The cost is $7 per student for Homeschool Day and $5 per student for the day at Oak Hill School. Students must register for both days in advance. We cannot accept registration the day of the event. 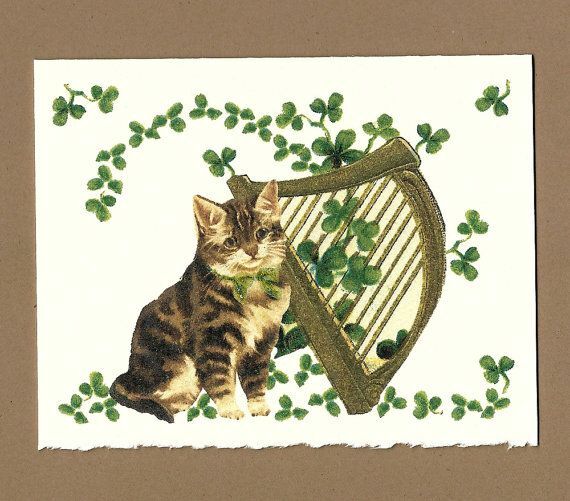 As a part of Jonesborough’s St. Paddy’s Day Celebration, you can make a Victorian inspired St. Patrick’s Day card from 12-4 in the Christopher Taylor House. 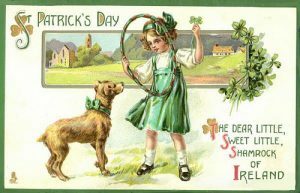 You can also hear the Irish fairy tale Molly Murphy and the Scorched Leprechaun at 2:00pm in the parlor of the Chester Inn Museum. Join us on March 16 for a wonderful day celebrating all things Irish! Join Tennessee’s Oldest Town for their St. Paddy’s Celebration on Saturday, March 16. Discover everything from live Celtic music, green beer, Irish foods, a relaunch of the Jonesborough Gold Hunt and the Leprechaun Trail. Enjoy Shamrockin’ on the Plaza in front of the Storytelling Center taking place from 4-7 p.m. with music starting at 5 p.m. Get into the St. Paddy’s spirit with live music from ETSU’s Roaring Jelly, enjoy a beer garden brought by Main Street Café and Catering with beer from Depot Street Brewery and a special menu of Irish foods. Come dressed in your kilt, leprechaun outfit or simply all decked out in green for our Best St. Paddy’s Attire Contest for a chance to win a special prize. Shamrockin’ on the Plaza is sponsored by Main Street Café and Catering and JAMSA, Jonesborough Area Merchants Association. Bring the kids and explore the Leprechaun Trail. This interactive trail will guide you through participating museums, shops and restaurants downtown where you’ll discover treasures consisting of activities or St. Paddy’s-themed treats. One “treasure” along the Leprechaun Trial will be a dulcimer group playing traditional Celtic music. 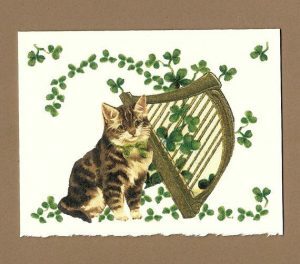 Another treasure you may stumble upon is a make-your-own Victorian, St. Patrick’s Day card from 12 to 4 p.m. at the Christopher Taylor House. Along the trail you’ll also hear stories from playwright and author, Anne G’Fellers-Mason, as she tells the Irish fairytale of, Molly Murphy and the Scorched Leprechaun, in the Chester Inn Museum parlor at 2 p.m. Participate in the Jonesborough Gold Hunt, a mobile-friendly QR code scavenger hunt, taking place throughout downtown all weekend long. The hunt will include almost 20 locations incorporating Jonesborough’s unique history and architecture. You can find more information about the hunt and get started at jbohunt.com. Another great way to explore Jonesborough is by taking a guided tour of Main Street with the Heritage Alliance. Tour tickets are $5 and can be purchased at the Chester Inn Museum located on Main Street. Also going on in Jonesborough, the Historic Jonesborough Dance Society will also offer a Saint Patrick’s Day Contra Dance from 7:30 to 10:30 p.m. at the Historic Jonesborough Visitors Center. Admission for the dance is $7 for adults and $5 for children and students. For more information call 423.753.1010. The Chester Inn State Historic Site and Museum has new exhibits out for spring! “Communications” examines the transition of communication technology from the 19th to 20th centuries by focusing on 4 methods: letters, postcards, telegrams, and telephones. The exhibit features several artifacts including a particularly large object that has not been on display in some time. It also features an interactive component where visitors can practice dialing local phone numbers from the 1956 Johnson City phone book using a rotary dial telephone. The other new exhibit is in the Spotlight Section of the museum. The last two years the Spotlight exhibits have focused on restored buildings in Jonesborough. This year the spotlight is photographs to coincide with the Heritage Alliance’s ongoing digitization project. Not only is the Heritage Alliance digitizing their archival photographic collection, but we are also looking to the community for assistance in expanding our collection. The first spotlight features photographs of women, which coincides with Women’s History Month. The Museum is open from 11-6 on Monday, Friday, and Saturday and from 1-6 on Sunday. Town Strolling Tours are available on Saturdays at 1:00pm. 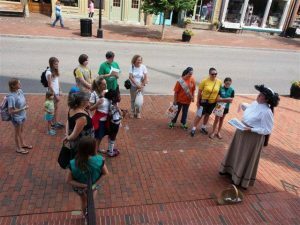 Tours depart from the Chester Inn and costumed guides lead guests on an hour long journey through Jonesborough’s storied past. The ever popular Jonesborough Mythbusting Tour is available the second Saturday of the month at 1:00pm. 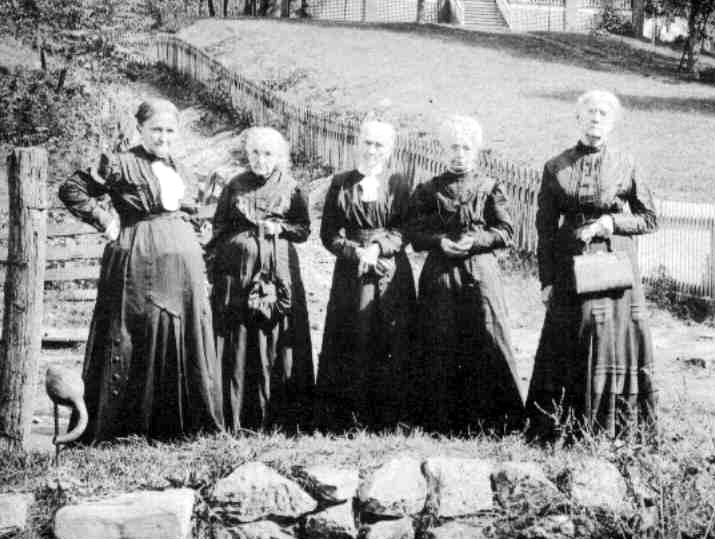 Thursday evening tours and the Old Jonesborough Cemetery Tour both return in May. The Chester Inn is a Tennessee Historical Commission State-Owned Historic Site. This project is funded under an agreement with the Tennessee Department of Environment and Conservation, Tennessee Historical Commission. The museum is an integral part of programming and interpretation for the Heritage Alliance. For more information on the Chester Inn State Historic Site and Museum or the Heritage Alliance please call our office at 423.753.9580 or the Chester Inn Museum at 423.753.4580. You can also contact the organization via email at info@heritageall.org. Additional information about the Heritage Alliance and its mission can be found online at http://www.heritageall.org/. Be sure to follow the Chester Inn and Heritage Alliance Facebook pages for updates about events at the Chester Inn and other Heritage Alliance programs. 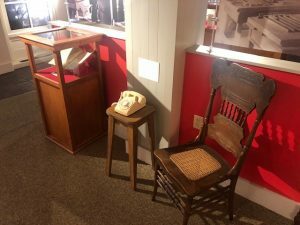 A Sojourn in Jonesborough and “Things Are Changing,” (a twoperson show focusing on local teacher Julia Bullard Nelson and the changing roles of gender and race in education at the turn of the 20th century). changes have taken place since the mid-1800s? What was the most surprising thing learned through the research? Why was Annette selected to be the narrator? Why did anyone think hoop skirts were ever a good thing?” Several students voiced an interest in wanting to volunteer for the Heritage Alliance. Performances of A Sojourn in Jonesborough and “Things Are Changing” are available for local classrooms. To learn more about our educational programs, visit www.heritageall.org/education/. We are dedicated to providing educational experiences related to the history and preservation of our region. 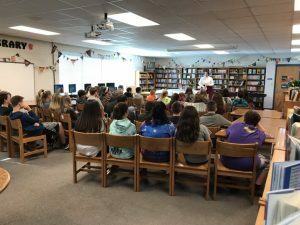 The Heritage Alliance actively cooperates with schools and school groups to teach history both outside and inside of the classroom. 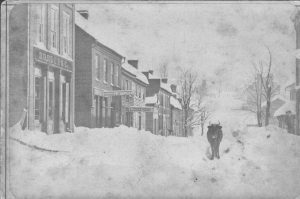 The Jonesborough Washington County History Museum and Archives was recently awarded a grant for $1800 to digitize its extensive photographic and negative collection. The grant is funded by the National Historical Publications and Records Commission (NHPRC) and administered by the Tennessee Historic Resources Advisory Board (THRAB) and Tennessee State Library and Archives (TSLA). Its purpose is to improve the preservation of and access to Tennessee’s historical records. 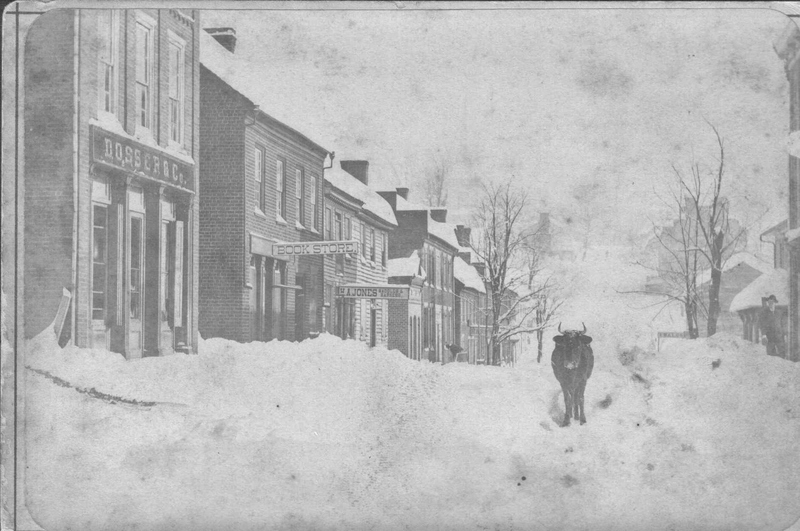 The collection spans the history of Jonesborough and Washington County from the first photographer in town, L.W. Keen c. 1850, to the beginning of the preservation movement in the 1970s and 1980s. It was built on the collection of the Civic Trust as well as the extensive Fink-Dulaney Collection, but also includes many donations by private individuals in the community. We are constantly looking for new images to add to the collection, especially images from 1920 to 1970 which is the main gap. This grant will allow for digitizing these original images as well as expanding the collection by scanning new images added to the collection in the future. This will make the vast collection more accessible and better tell the story of Jonesborough and Washington County. The Heritage Alliance is proud to provide a wide range of educational experiences for multiple grade levels and age groups. Our options include a step back in time to a schoolday in 1892 at Oak Hill School, a scavenger hunt in the Chester Inn State Historic Site and Museum, hands on with artifacts from our museum collection, primary source activities, tours, museum theatre, a storyteller, and much more! All of our programs are connected to Tennessee State Standards. To learn more about our educational programs and where they fit into the Tennessee state standards, click HERE to access our Educational brochure! The restoration of Sabine Hill, a historic property in Elizabethton, will be the topic of the final History Happy Hour for the 2018 season. Sycamore Shoals State Park manager Jennifer Bauer will be the speaker at History Happy Hour on Thursday, November 15th. Originally built by Mary Patton Taylor, Sabine Hill features a prominent federal style house that has been restored to its 1818 appearance by the Tennessee Historical Commission. The operation of Sabine Hill is managed by Sycamore Shoals State Historic Park in Elizabethton. History Happy Hour is a collaborative program in its second year at the Chester Inn Museum. The programs are on the 3rd Thursday each month at 6:30 pm, and they are free and open to the public. This month’s presentation will be held at the International Storytelling Center beside the Chester Inn Museum. This is the final Happy Hour for 2018 but keep an eye out for the 2019 schedule! 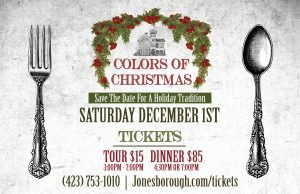 This December marks the second year for the Colors of Christmas: Historic Tour and Dinner event! In 2017, the Heritage Alliance partnered with the Town of Jonesborough to merge the Holiday Tour of Homes and the Progressive Dinner into one elegant evening. We had a wonderful time and learned a lot last year, and thanks to those of you who completed the after survey, we have made modifications designed to bring you great cheer! We’re excited to continue this partnership in 2018. Mark your calendars for Saturday, December 1st, and get ready to ring in the Holiday season in Jonesborough! The Colors of Christmas: Historic Tour and Dinner opens several historic structures in Jonesborough, each decorated in Holiday finery. Guests can choose to tour only or have the option of a fine dining experience benefiting the Heritage Alliance’s education and preservation programs….but why not do both? Two seating times will be available for the four-course, Dinner portion of the evening, 4:30 p.m. and 7:00 p.m. Guests will enjoy appetizers in the Historic Inns of Jonesborough from 4:30 p.m. – 5:15 p.m. or 7:00 p.m. – 7:45 p.m. before being bused to the McKinney Center to continue the celebration with delicious food, festive live music, and camaraderie. Whether you choose to Tour only, Dine only or combine both, the Colors of Christmas is the ultimate kick-off to the Holiday season in Jonesborough. Tickets are only available through the Historic Jonesborough Visitors Center and can be purchased on line at https://townofjonesborough.thundertix.com/events/136373 or by calling 423-753-1010. Once you have purchased your tickets, we will send you information specific to your seating. The restoration of a building does more than repair old walls and ceilings; it rebuilds connections, strengthens community and restores the spirit. Not only will you be celebrating restoration during the Colors of Christmas, you’ll also be supporting two, worthwhile causes. Your Colors of Christmas Dinner ticket helps to fund the preservation and education mission of the Heritage Alliance. 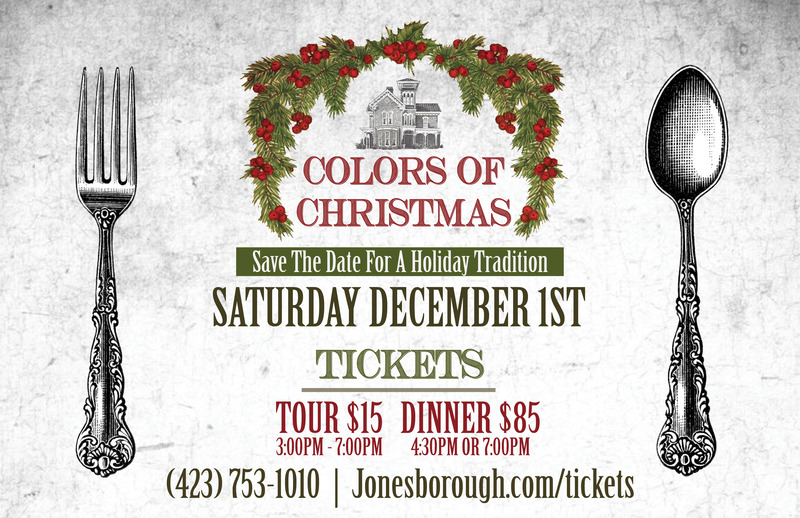 The Colors of Christmas Tour helps the Town of Jonesborough fund the many free events, such as “At Home with Santa”, dedicated to children throughout the year. The Colors of Christmas: Historic Tour and Dinner celebrates the many good things that result when we join together for the benefit of all. It is fun, it is festive, and it is fulfilling.